Magna's sales in North America, which make up bulk of its total sales, rose 14.2 per cent to $2.50 billion in the third quarter. Magna International said third-quarter profits were flat despite rising revenue as the company was hampered by challenges at two newly acquired European plants. Sales rose 7.3 per cent to $9.5 billion. Magna said it faced challenges at two Getrag powertrain plants in Europe. One plant experienced “unplanned and unexpected product launch costs,” while another faced volume shortfalls due to lower customer demand. Magna agreed in July 2015 to buy German manufacturer Getrag for US$1.9 billion. Third-quarter income at Getrag plants fell $20 million. The profitability of joint ventures in Asia was also down due to lower volumes there. The company, headquartered in Aurora, Ontario, reports earnings and sales in U.S. dollars. Magna’s 7.3 per cent increase in quarterly sales was helped by strong demand in Europe, which offset declining light vehicle production in North America. Magna managed to achieve the sales increase during a period in which European light vehicle production increased eight per cent and North American light vehicle production decreased seven per cent. Sales in Europe rose 14 per cent to $2.5 billion in the third quarter. Meanwhile, the bulk of Magna's sales are still in North America, where sales were down five per cent to $4.6 billion. The company said it still expects North American sales to be between $19.2 billion and $19.6 billion in 2017, nearly double the outlook for European sales. Third-quarter sales in Asia rose five per cent to $576 million. Magna CEO Don Walker said light vehicle production in North America will likely continue to fall over the next few years. He didn’t say how that might affect his company’s business plan, which is currently being tweaked. Magna counts General Motors, Volkswagen, BMW and Ford as its biggest customers. It also assembles cars under contract from some automakers, and that business was brisk in the quarter. Complete vehicle assembly sales increased 55 per cent in the third quarter of 2017, largely reflecting the launch of the BMW 5 series at Magna’s assembly facility in Graz. Walker said he was pleased with the third-quarter results. 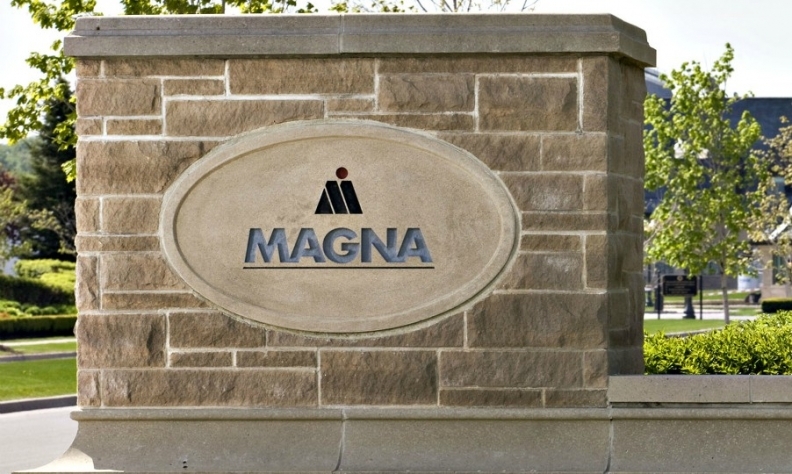 “Our product breadth combined with complete vehicle design and engineering capabilities uniquely positions Magna to be a supplier of solutions,” he said in a statement. Citing “capital spending discipline,” the company scaled back its projected capital spending to $1.9 billion, down slightly from $2 billion. Walker said the future of NAFTA is affecting business decisions. He’s also keeping an eye on Bill 148, which hasn’t yet come into law in Ontario. The bill includes a mandatory $15 Cdn./hr minimum wage, requires employers pay part-time employees the same wage per hour as full-time workers, and requires companies to give employees more advanced notice to changing schedules. The bill could affect investment decisions, Walker said.